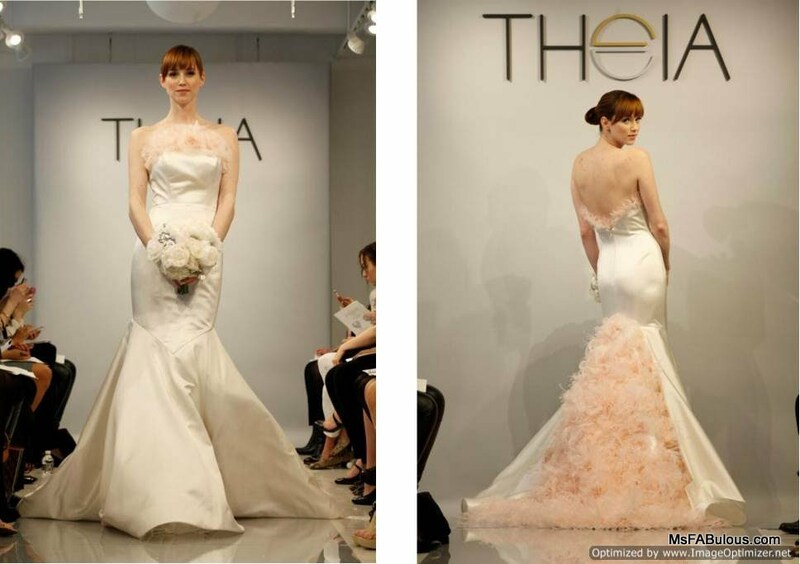 Romance is in the air from Don O'Neil's Theia Bridal Collection last week. The lovey dovey theme was shown in a very pretty use of the color blush pink. The color was worked in with delicate laser cut petals, frothy tulle, fabric flower embroidery and ostrich feathers. There was one gown with a embroidered plaid that was fashion forward and a departure from your typical lacy bridal dress. Don has a great way of designing a wedding gown that is thoroughly feminine, but very modern where the woman looks like she is taking command and strong. 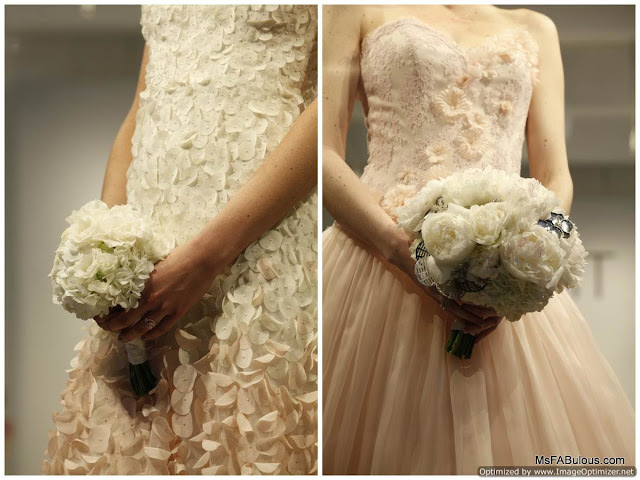 Not surprisingly, the dramatic bouquets the brides were carrying complemented the fashion perfectly. Why? They were created by longtime partner and collaborator Fleur de Pascal. An ideal marriage in every way!